Privacy is defined as the quality or state of being apart from company or observation. It is only human to want privacy, especially when in the “privacy” of your own home or yard. And you have probably heard the saying that “Good fences make good neighbors.” Fences help keep your neighbors from seeing into your yard. But what happens when that fence isn’t quite good enough at keeping prying eyes away? We have already explained several easy ways How to make my Aluminum Fencing more Private. But what about other fences? Even some privacy fences do not offer you the privacy you so desire. What then? Plant a Tree: Want a little more privacy in your back yard? 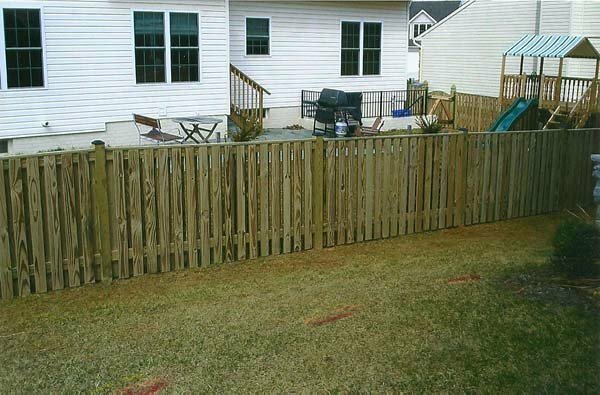 Perhaps your fence has large gaps between the boards or perhaps your neighbor has a deck overlooking your yard. Either way, a tree could help add a little privacy. This is also a great way to add aesthetic appeal to your yard. Hedges: A hedge is a great way to enhance the privacy of your yard. Gardens: Raised garden beds can help shield your yard from the view of prying eyes. Vines: There are so many ways you can use vines to help make your yard more secluded. Plant a climber to cover a fence, climb lattice work, or grow over a pergola. Mix It Up: Maybe you want to try a combination of techniques to dress up your fence and add privacy. There is no one answer. Be creative. Build a New Fence: If your current fence is not providing the privacy you desire, why go through the effort to try and patch the problem. Build a new fence that meets your privacy needs. This entry was posted on Friday, April 19th, 2013	at 5:25 pm	. Both comments and pings are currently closed.